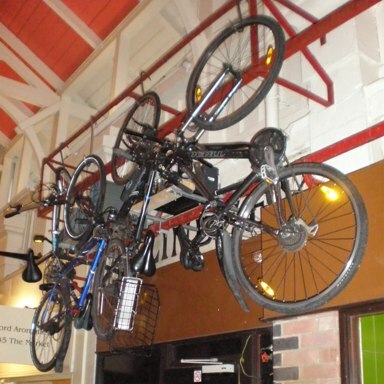 It can be tricky finding somewhere to park your bike in city centres. So it’s just as well a lot of people come in by bus. This is staff parking at a butchers in the Covered Market.